“The legacy of Prime Minister Modi is mob lynching incidents, which are more in numbers so far as his regime is concerned. He will be remembered for mob lynching,” Owaisi said while speaking to reporters at a press conference. “He was beaten since the BJP government is there and because they know that Modi Sahab is there to help him. After Modi became the Prime Minister, these people feel strengthened. They have got emboldened,” he said. Owaisi also criticised Prime Minister Modi for his party’s stand on Article 370. “BJP says that they will quash Article 370, but how many Kashmiri Pandits have been rehabilitated by them? They got five years and 280 MPs and 320 NDA MPs. How long will they keep deceiving the people on Article 370,” he asked. The AIMIM chief also attacked BJP-led government on Ayodhya land dispute after the BJP included this in its party manifesto. “From the time Babri Masjid got martyred, neither Uttar Pradesh government nor the Central government became a party to it. Petitioners were fighting but the government never became a part of it. This is the first time that this government asked the Supreme Court to release the land in excess. Uttar Pradesh government also changed its stand,” he said. “You have to be neutral. You have forgotten the constitutional duty. Now you say that they will take the help of the Constitution,” Owaisi said. Owaisi reiterated that Uniform Civil Code (UCC) is not possible in the country but the BJP included this in their party manifesto. “Law Commission said the Uniform Civil Code cannot be brought. Their report says that the UCC cannot be enforced in the country,” he said. 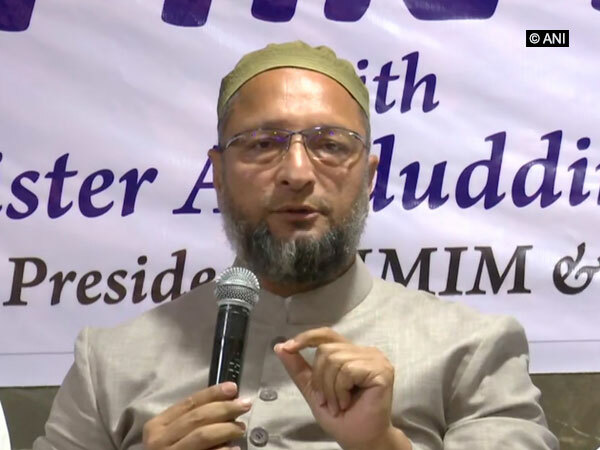 Talking about 12 per cent reservation to Muslim in Telangana, Owaisi said that their party will continue to support this demand. “Telangana government passed a resolution in Assembly which was sent to the Indian government. This is intellectual dishonesty of the Modi government that they rejected the resolution,” he said. “We will continue our struggle for 12 per cent reservation. This reservation is not on the religious grounds but there is empirical data about social and educational backwardness as mentioned in the report of Sudhir Committee report. The report says that 83 per cent of people in Telangana is socially and educationally backwards,” he said.